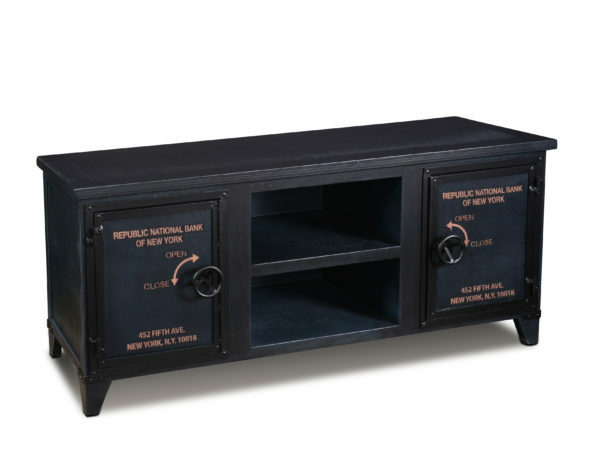 Our Bank Vault Collection incorporates exemplary vintage design from modernism and the machine age. We infuse rich texture, functional storage and unforgettable aspects into your global-eclectic or urban-minded space. Stenciling introduces an additional element that transitions the natural and industrial materials.